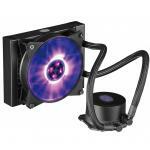 "This AIO water cooler keeps the CPU at low temperatures even when it is set to low rpm's when gaming. Liquid and fan noise is barely audible in low rpm's too!" 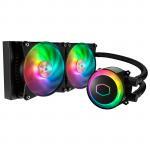 "This product is well packaged and comes with everything needed to install the cooler onto your motherboard. I had no trouble at all in the installation and setting up of the software. 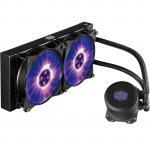 "Great product, looks really good and does a fantastic job of cooling a great range of cpu's . 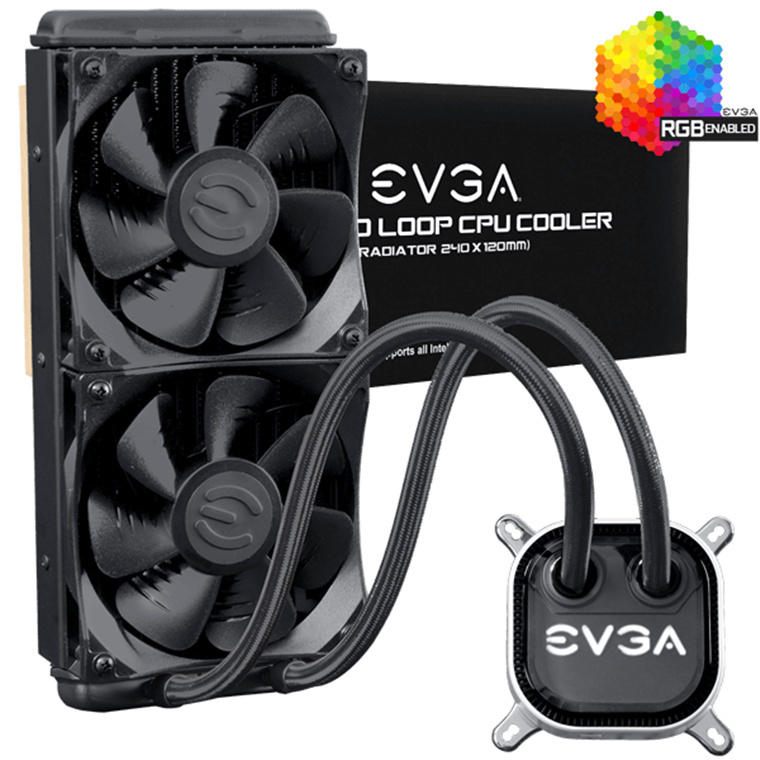 One little grip is the quality of the softwear from EVGA(not that well designed)but would not stop me from..."
The EVGA CLC 240 Liquid CPU Cooler has arrived. The new liquid cooler from DVGA give you incredible perforamnce, low noise, robust software controls and amazing performance. 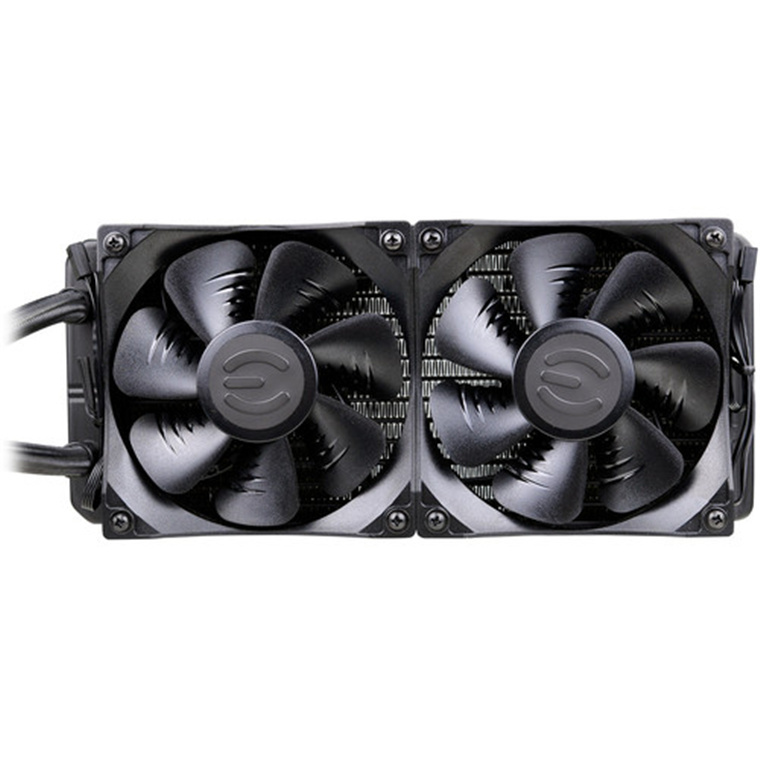 Available in 240mm radiator size and the new EVGA fan is designed to reduce noise, provide superior airflow and static pressure. Built in RGB LED gives you full control over lighting including color cycling, or select your favourite color. The color profiles even save to the firmware! 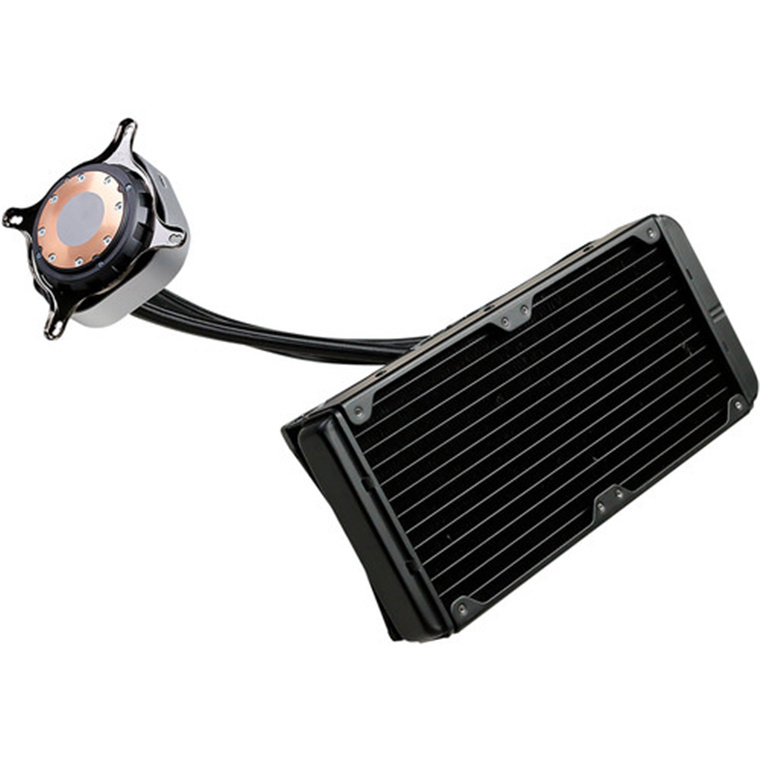 This AIO water cooler keeps the CPU at low temperatures even when it is set to low rpm's when gaming. Liquid and fan noise is barely audible in low rpm's too!This AIO water cooler keeps the CPU at low temperatures even when it is set to low rpm's when gaming. Liquid and fan noise is barely audible in low rpm's too! This product is well packaged and comes with everything needed to install the cooler onto your motherboard. Everything is working well and with two extra fans for push pull it's rather silent. I found that under heavy load my CPU is around 60 deg Celsius. I'm not using any fan curves since I want my computer as silent as possible. As it is the case fans are now the loudest thing. 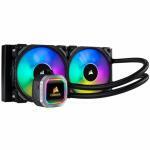 One thing to note: The pump was making a bit of noise but you can control that by turning down the pump speed.This product is well packaged and comes with everything needed to install the cooler onto your motherboard. One thing to note: The pump was making a bit of noise but you can control that by turning down the pump speed. If you want premium treatment then get this premium product. 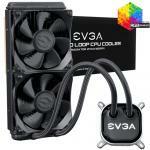 I can honestly not think of a single bad thing to say about any EVGA product nor the company themselves. Very easy to install and swap out the mounting brackets if need be. Very quiet on stock fan curves. Overclocked Ryzen 7 2700X by 10% and still this cooler kept temps under 55 degrees C (max safe temp for Ryzen 7 is 85 degrees). After buying this I'd never consider air cooling again.If you want premium treatment then get this premium product. I can honestly not think of a single bad thing to say about any EVGA product nor the company themselves. Very easy to install and swap out the mounting brackets if need be. Very quiet on stock fan curves. Overclocked Ryzen 7 2700X by 10% and still this cooler kept temps under 55 degrees C (max safe temp for Ryzen 7 is 85 degrees). After buying this I'd never consider air cooling again.